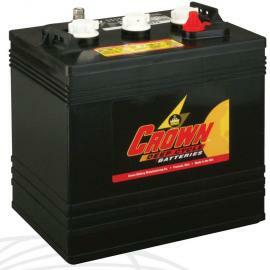 Crown Supreme CR-275 6V 275Ah Deep cycle battery. Made in USA. 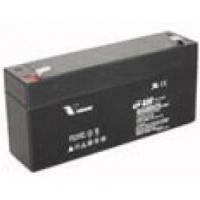 Originally designed for use in Golf Carts where a long service life over countless charge and discharge cycles is required, the Crown CR275 deep cycle battery lends itself perfectly for use in renewable energy applications. 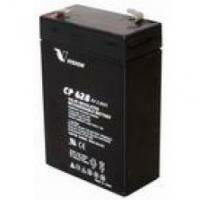 Rated at 6 volts and 275Ah, the Crown CR275 offers superior construction at an entry-level price. Large vent caps reduce the potential for acid leakage. 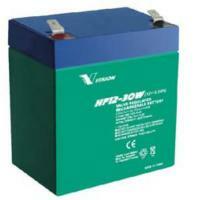 Suitable for golf cart, solar system, and other electric vehicles such as wheelchair and floor machines. The thickest lead plates in the industry - Thicker plates and heaver lead connections mean more power and longer life. Outperforms competitors - In head-to-head tests, Crown regularly outperforms the competition in independent laboratory tests. 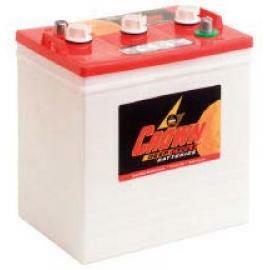 Unique maintenance features - Crown's proprietary PROeye indicator lets you monitor battery water levels at-a-glance. 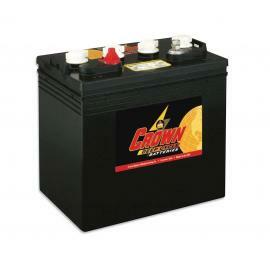 Made in USA - Crown CR275 batteries are made in America to exacting specifications in state-of-the-arc facilities.